Saving money doesn’t just happen in our household. It has always required intentional effort. 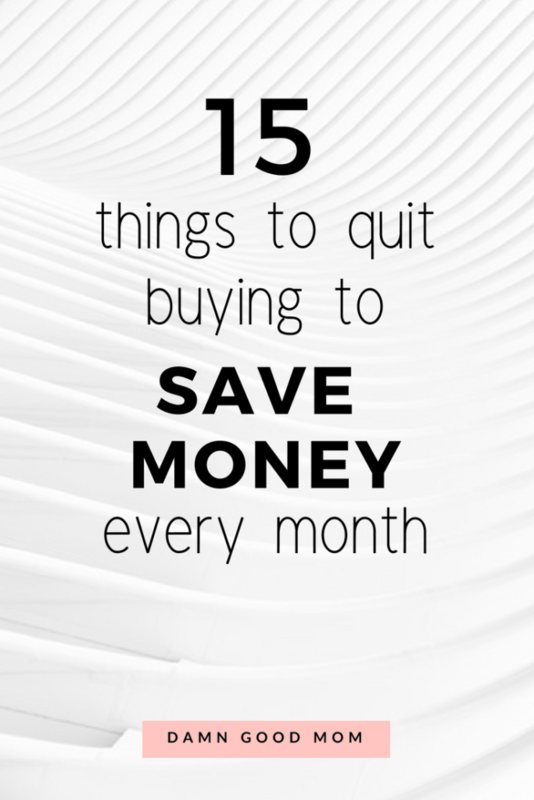 Here you will find fifteen items I quit buying that saves my family money every month. If you are new here then let me introduce myself. 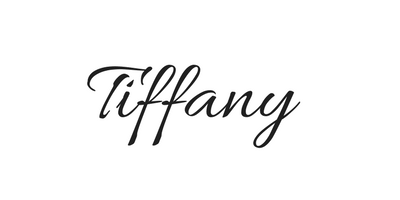 My name is Tiffany and I’m a new mom who recently quit her job to be a stay-at-home-mom. 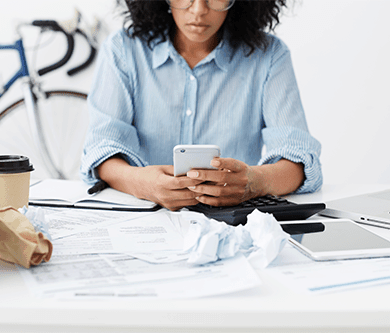 I have no regrets about leaving my job behind; however, it did mean that my husband and I had to get serious about our spending habits to thrive on one income. So, what things do we not buy to save us money? This post contains affiliate links, please see the disclosure policy for more information. Yep. It’s true, I gave up on my gel nail polish salon adventures. While I love the look of gel nails, it just got exceedingly expensive trying to maintain. Currently, I wear my nails cut short and bare. If I get the urge for a pop of color, I will paint my own nails. If you just need a manicure, consider heading to a nail surplus store where you can find the tools and equipment to do your own nails? YouTube videos like this one are great for DIY manicure tutorials. I look forward to spa days with my daughter, where we paint each other nails but thankfully that doesn’t require a trip to the nail salon either. I found this website that sells non-toxic nail polish and when she’s ready, I will be too! If you read the how to stop living paycheck-t0-paycheck post, then you know we finally cut cable. We got that dreaded increase letter and the bill for our cable internet package had gone above $150!!! What!! Who? Not us! We finally cut the madness. We bought an antenna that was a one-time expense that gives us the local channels. We have Netflix and DIRECTV (mainly for sports channels). Also, we get access to Amazon Movies because of our Amazon Prime Membership. All of this and we still pay less than what cable was costing us yearly. Give Amazon Prime a Try with a Free 30-Day Trial . If you are a parent, you will love the free 2-day shipping! The price of books can add up. $14 here, $8 there and soon it’s easily upwards of $100. I enjoy reading and I read quickly. The problem is…it’s rare that I read books more than once. So, the books just sit around and collect dust. The smart thing to do is to rent books online and borrow books from the library. Psst…I know this isn’t always possible, especially with newly published books. But for most book selections many libraries have programs that allow you to complete the whole book borrowing process online? Also, the local Goodwill and Salvation Army are good places to find inexpensive used books. Call me frugal but I don’t buy full price holiday decorations. I’m that girl that shops holiday clearance. I will buy a Christmas tree a week after Christmas and drug store holiday candy can be purchased at 60% off the day after the holiday, why pay full price? Since setting up a budget and meal planning, we eat at home more often. But, we still have a drawer with some unused straws saved from our favorite food restaurant it the stash is dwindling. I’ve found that the easiest way of keeping straws on hand, even if you aren’t collecting the free extras, is to purchase reusable straws. One pack for the entire family is great AND that means no more junk drawers filled with condiments and straws. Also, you can feel good about helping protect the environment. Tip: Keep a couple in your vehicle. With kids and adults, they come in handy. Raise your hand if you keep your grocery bags and use them around the house. Me too! If your grocery store bags are paper or plastic…save them. Also, those big brown paper bags are great for Spring cleaning. Fill them up and haul them to your charity of choice. We stopped buying bottled water and our recycle bin and wallet got a break. Now, we buy filters (when needed) and drink from reusable water bottles. If you are pregnant or nursing, I highly recommend using a glass water bottle with a protective sleeve to reduce your exposure to the toxins in many plastics. My hair is naturally curly and if you have curly hair or dry hair, you may the know the struggle of finding a good conditioner. I have conditioners that just didn’t work well for my difficult hair and instead of tossing them, they double as shaving creams. Also, I enjoy making DIY products. My go-to homemade body scrub is a mixture of olive oil, sugar, and an essential oil. The scrub gets my legs nice and smooth and voila, they are ready for a shave, when necessary. I love it. I haven’t bought shave cream in years! My husband and I both prefer not to take medicine, unless it’s necessary. Thankfully, we both have been blessed to not need to take prescription or over-the-counter-medicines recently. For the occasional minor tummy aches and pains, we use diluted apple cider vinegar. For headaches, I use essential oils, hydration, and rest. For scratches and bruises, aloe and coconut oil gets slathered on everything. Again, it’s a blessing that both of us have been in good health over the years. Good health is truly valuable and saves money! We don’t take it for granted…at all. Tip: Consider generic over-the-counter options when available. Have you been to a vending machine lately? One 6-pack of crackers for $1.75! What? You can get the entire pack for that price or less. Paying extra for convenience is understandable but those vending machine prices are getting crazy. We choose to skip the $2 honey bun and pack our own snacks. I love a good stroll through Crate & Barrel, West Elm, and Pottery Barn; however, I use these stores for inspiration because the prices are way above what I’m willing to pay for home décor. Instead, I find deals at places like Home Goods and outlet stores. It’s exciting finding a bargain. Also, I’m not afraid to channel my inner Fixer Upper (I miss the show already). I will try to DIY a piece of furniture, when I’m feeling brave. Exceptions: I am guilty of buying a pricey sectional sofa. A quality sofa lasts for years and can be reupholstered. Also, we did invest in a good mattress. Sleep is super important and we don’t ever plan to buy a used mattress. Tommy Hilfiger and Michael Kors don’t pay my bills and I don’t intend to pay theirs. I don’t believe in clothing brand loyalty without a paid contract. I buy good sturdy pieces of clothes that last me at least a year or more. I’m not interested in whose name is on the inner tag. When choosing between two identical quality pieces, one name brand and the other not, I’m going with the less expensive product every time. We live in a house and the HOA fees don’t cover lawn care (It’s a bummer, I know). We could hire a company to cut our lawn bi-weekly, but we don’t. My hot husband gets out there and takes care of the yard maintenance and occasionally I tend the flower bed. We invested in the tools and equipment and do it all ourselves to save. Tip: Buy a quality lawnmower up-front. We tried to go cheap with a reel lawn mower (not this exact brand, but similar product) and then a trimmer/mower combo and neither worked out for us. It didn’t work out until we got this electric one, no gasoline required! So far it’s been good for 4+ years! Are you surprised about this one? We don’t buy lottery tickets. Even though they are only a dollar or two, we just don’t buy them. The odds are in no one person’s favor and it’s hard to watch money disappear just to get nothing (false hope) in return. It’s crazy though. We don’t buy lottery tickets, but we have had several conversations about what we would do if we won millions of dollars. Have you had that conversation with someone one? I think we all have. We plan to escape to an island getaway and give to charity, after buying season tickets to Duke & UNC college basketball games. There is a reason the makeup industry is a billion-dollar industry. Those quality foundations, contouring kits, shadows, and lipsticks can be pricey. I practice good skincare practices and I have a few staple products like mascara, eyeliner, and lip gloss and that is the gist of my makeup routine. I never mastered cat eyes, contouring, or any sophisticated makeup routine. It really is an art and unfortunately, I’m not an artist. I love a good beauty blogger/YouTuber video as much as the next woman, yet I rarely ever buy the makeup. As a new mom, I don’t even have the time to put on an hours worth of makeup and my toddler could care less about my lash length. However, I believe that it’s important to look good (when you look good you feel good) and if makeup is what does it for you, consider keeping to a strict budget to not overspend. OK, that’s the ever-growing list of things we don’t buy that save us money. Saving money is important to us because we have a goal of being debt-free (or more specifically, paying off my student loans). You may not think saving $30 a month here and there is much, but every dollar counts when you have money goals. Are there things you quit buying to save money that aren’t on the list? For more saving money and mom-related content, follow along on Pinterest. 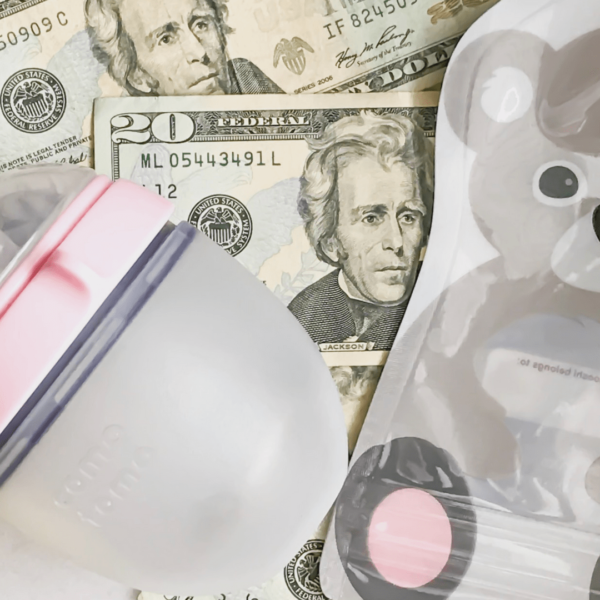 Save $1000K+ with The Pregnancy Savings Challenge Today!